USA Hockey’s National Team Development Programs enter the weekend with a combined 62-33-5-5 (W-L-OTL-SOL) record throughout the 2018-19 season and a 29-18-2-5 record in USHL competition. The U.S. National Under-18 Team faces off against the Youngstown Phantoms twice this weekend: 7:00 p.m. ET on Saturday, Mar. 30 at USA Hockey Arena, and 5:00 p.m. ET on Sunday, Mar. 31 at the Covelli Centre. 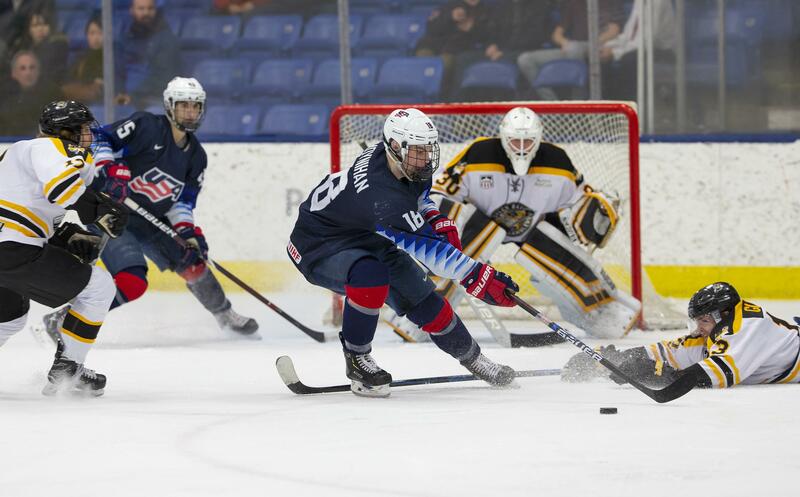 The U.S. National Under-17 Team hosts the Youngstown Phantoms on Friday, Mar. 29 at USA Hockey Arena. Puck drop is slated for 7:00 p.m. ET.